Laminate flooring has come a long way since the 1970s. While it was always affordable—and still is today—its looks left a lot to be desired. However, design advances have transformed laminate into one of the most popular flooring choices on the market. Homeowners are now turning to the realistic good looks of laminate to create absolutely stunning spaces. Technological innovations in the past few years have made laminate flooring the next big trend in flooring. It has gone from “second choice” to “sought after” thanks to advances in design and functionality. The look of laminate flooring is more realistic than ever. In fact, it’ hard to tell the difference between high-quality laminate and solid hardwood just by looking at it. Plus, laminate not only mimics hardwood, it can also take on the look of stone tiles. The realism of the design is not only limited to its looks. Laminate’s surface can range from simple to intricate. Brushed or handscraped textures are possible, as are glossy and matte finishes. Planks have evolved too. You can now select longer and wider planks. If you choose a more exotic looking floor with lots of detail, wider planks will highlight its unique features. 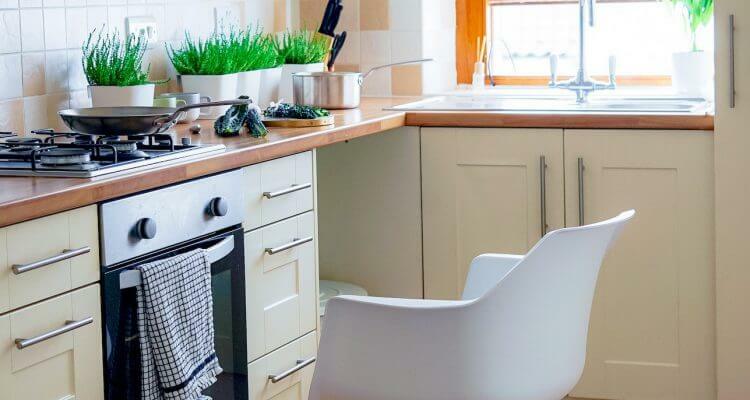 For wood grains that are subtle, choose narrower boards. Looks are no longer a differentiating factor in the hardwood/laminate debate, but what about performance? In most areas, laminate outperforms hardwood. It’s more durable—withstanding heavy traffic and it’s also easier to clean and maintain. Elka 8mm has realistic visuals with a micro bevel to achieve a look that replicates authentic hardwood. Elka 12mm embodies the authenticity of real hardwood, with micro bevels and a contemporary colour palette on a wide plank format. Extra long and wide planks create depth and an extra sense of space for a more natural, expansive hardwood floor look. 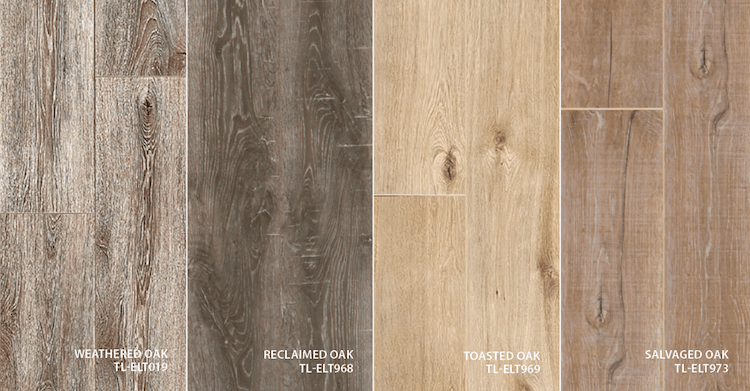 The Reclaimé Collection features unmatched realism and the visual charm of a timeworn reclaimed hardwood floor. Choose from planks reminiscent of vintage wood. Even if a plank gets damaged, it’s easily repaired, that is if it’s a TORLYS smart floor. Thanks to the TORLYS Bulldog™ Easy Plank Replacer, you can remove individual planks and replace them without any mess or fuss. That’s true of any TORLYS smart floor. Cleaning up after a spill is relatively easy. TORLYS offers a unique cleaning solution: The Natural Glow Maintenance Kit. This all-in-one floor maintenance kit is specially formulated to clean all TORLYS smart floors. The key to long-lasting floors is to clean up messes, especially liquid spills, immediately. Laminate floors can also build up static, but regular sweeping or vacuuming will prevent unnecessary shocks. TORLYS has made breathtaking breakthroughs in laminate flooring. These industry-leading innovations range from design and application to installation. TORLYS is always ahead of trend when it comes to patterns and hues. This year’s star: Chevron. This nostalgic pattern is bold and makes an immediate impact in a space. When used correctly, it can even create a wavy and calm feeling. 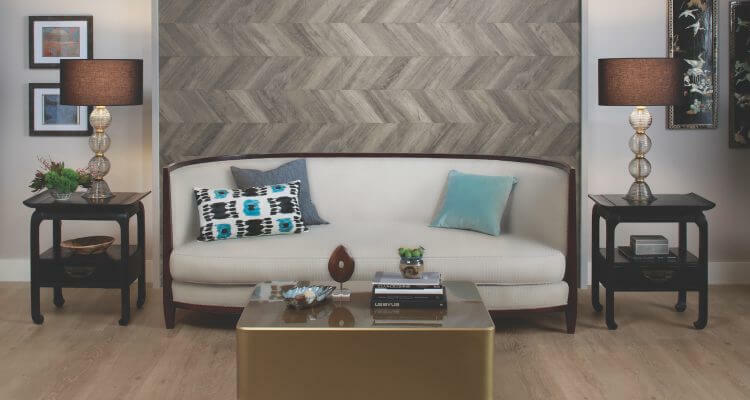 If you want to create a feature wall in your home, you can even install our chevron floors on the wall! The installation of TORLYS flooring on walls requires the use of adhesive and nails. We recommend using baseboards and crown moulding to cover the floor and ceiling edges of the floor. To complete the look, you can use a wood trim painted in an accent colour to frame the sides. If you’re installing the wall/floor yourself, begin by lying the planks on the floor first. Floor-to-wall application is not the only laminate innovation from TORLYS. You can now install TORLYS laminate transition-free *. That means no more transitions in doorways or long hallways! The flow from room-to-room is seamless, allowing for a cleaner, flawless design. * Transition-free installation does not apply to Lexington collection. What’s new for TORLYS laminate this year? With longer, wide planks, the Largo line will help you create depth and space in a room. This line features a more natural hardwood look—so natural, it’s hard to tell the difference! The Reclaimé line features laminates that reclaim the charm of the old world. Reminiscent of vintage wood, you’ll find the chevron pattern in this collection. Finally, our Elka line is renowned for its durability and comfort. 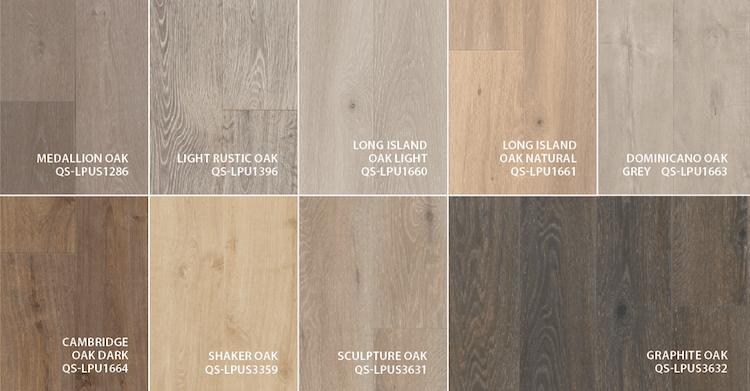 No matter your tastes, you’ll find a floor that matches it in this collection. Great looks. Great price. Amazing new applications. When you choose a TORLYS laminate floor, there isn’t a look you can’t achieve with the budget you have. All our laminate collections feature on-trend designer styles and colours. 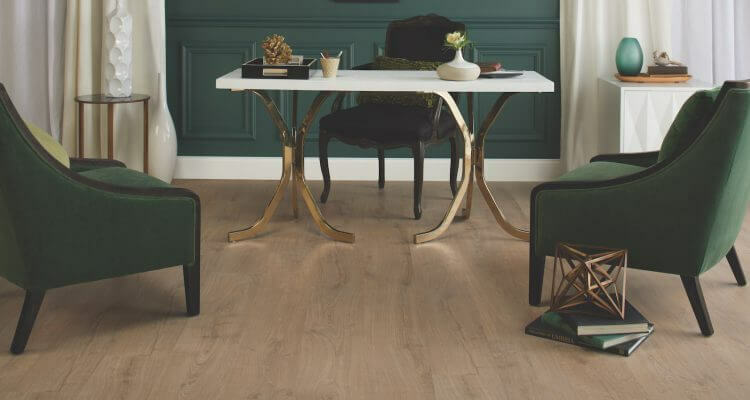 With transition-free flooring, new installation techniques and longer, wider planks, TORLYS laminate is making its way into every home. 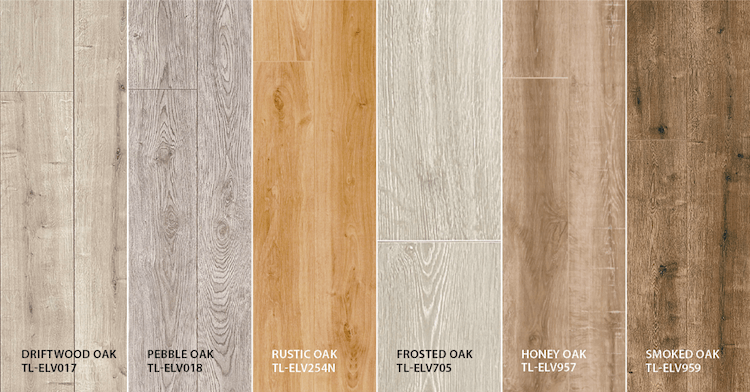 Are you ready to see TORLYS laminate flooring in person? 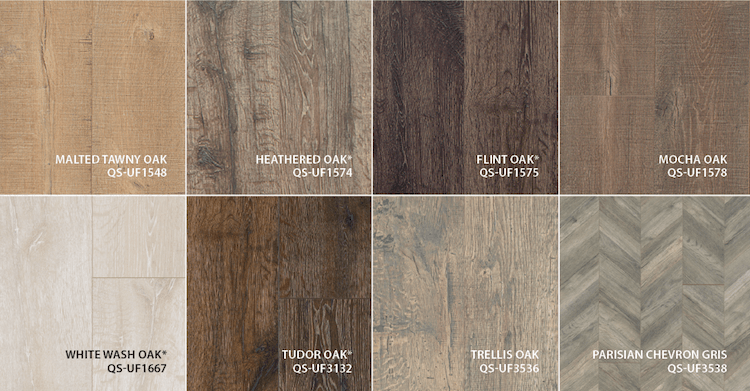 Visit your local TORLYS dealer or order a flooring sample today. You can also use our new room visualizer to preview what TORLYS floors will look like in your home!